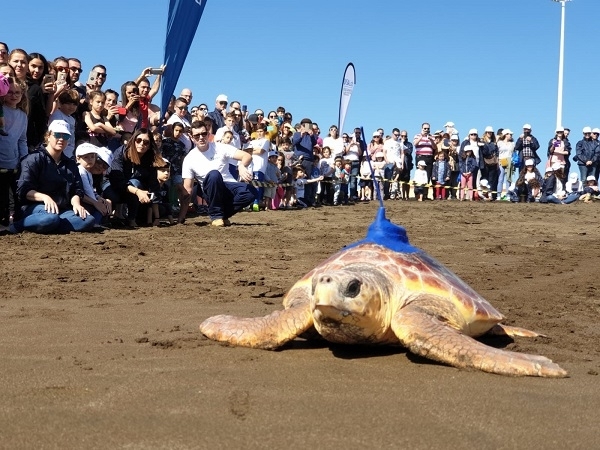 Representatives of the DISA Foundation and the Gran Canara Island Council released two animals on Saturday at Playa Melenara near Telde. First, a Turnstone bird which had been injured and taken to the wildlife sanctuary. The Finnish bird crosses the Canary Islands on its way to South Africa. After its recovery it was released and disappeared into the sky. A loggerhead turtle was then released back into the sea. On December 22 it had been debilitated by whale and dolphin watching excursion boat off the coast of Mogán and had been rescued when seen floating in the water. At the rescue station, the veterinarians found that she was suffering from digestive problems and had a stomach full of plastic. Produced with news.CMS in 0,1251 seconds.